Aerostat, Inc. is proud to announce the approval of the new MARK V aerial ignition dispenser by the National Interagency Aviation Council! The MARK V was designed by experience incorporating input from users of aerial ignition dispensers as well as the experience gained by Aerostat in servicing aerial ignition dispensers for more than twenty-five years. It is designed to be highly reliable with minimal training required of an operator who is familiar with the old MK III dispensers. In appearance the MARK V looks similar to the MK III but that is where the similarities end. The MARK V incorporates new technology in regard to its electrical components, its pumps, and the design of its hopper. There are also a number of ergonomic improvements to the MARK V to make it much easier for operators to use. In addition when one buys a MARK V everything they need to use the machine except aerial ignition spheres is included in the price. To be sure your investment in a MARK V is protected the MARK V comes with an unprecedented two year warranty from date of purchase. Aerostat takes great pride in being able to say that the MARK V like all other products sold by Aerostat is manufactured entirely in the USA by Aerostat’s affiliate company PSDS, Inc.
For more information contact Aerostat today! In a letter dated May 15, 2009, the Interagency Helicopter Operations Steering Committee (IHOps) formally approved the use of the aerial ignition spheres distributed by Aerostat, Inc., after extensive testing, for use in the MK III Plastic Sphere Dispenser. Aerostat takes great pride in the fact that the spheres it markets are made in the USA and all of its suppliers are USA based companies as well. We also are proud of the fact that we do not use any intermediaries to take and process orders or to service any PSD machines. As it has done for almost thirty years, Aerostat stands behind any products it sells or services it provides 100%! Aerostat has been involved with the evolution of the PSD machines since their inception and the company is still owned and operated by the same person. No other company has personnel with this longevity of experience in regard to the operation and repair of PSD machines. We are always just a phone call or email away if you have any problems. We are very proud of the long standing relationships we have established over the years with all the agencies using our products and services and we look forward to continuing those relationships. 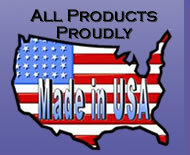 In addition we are very proud of the fact that we have moved our manufacturing operations completely into the United States as we now have much better control over the quality of our products and at the same time we are investing in and helping to stimulate the country’s economy by creating new jobs for people. 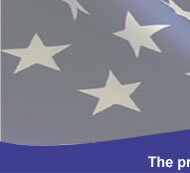 For additional information about us please visit our website at http://www.aerostatinc.com .